Maratakka Resort – METS N.V. Both destinations, Maratakka and Bigi Pan, are located in District Nickerie, the most western situated district of Suriname, close to the border with Guyana, about 240 km west of Paramaribo. The tropical Maratakka Resort lies not far from Wageningen, in District Nickerie, 45 minutes by boat over the Maratakka River. Here you can enjoy various activities such as hikes through the jungle or a visit to the nearby located Cupido village. 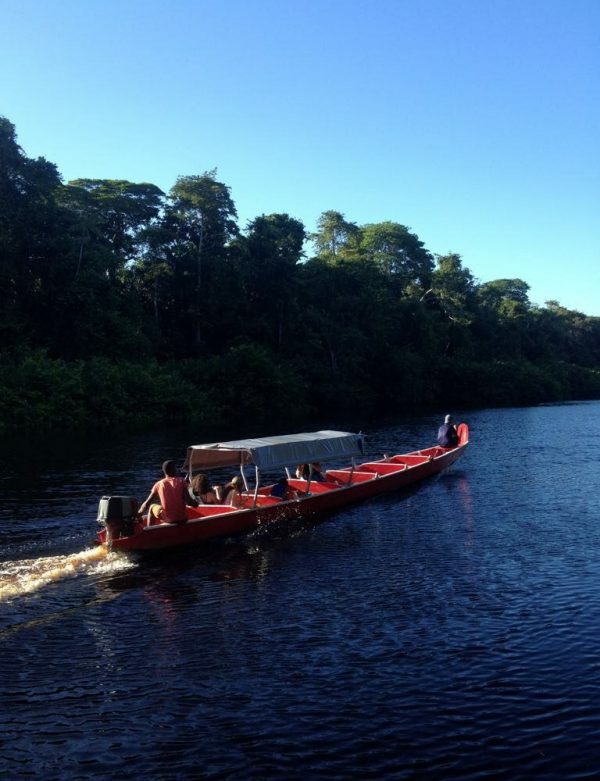 During daytime, you can see an otter or sea cow (manatee) in the river and at night you might even spot a caiman. You can also try your hand at fishing on the river or just relax and swim or sunbath on the deck. Departure: Hotel Residence Inn or pick up at one of the large hotels in Paramaribo. We take consideration of special dietary requirements, please indicate this at your reservation. Between 7 and 8 in the morning, departure from Paramaribo towards Wageningen, in District Nickerie. Along the way, you will pass other districts, namely Saramacca and Coronie, about which you will receive extensive historical and interesting facts. Next you arrive in Wageningen where lunch is served. After lunch, a boat trip of approx. 45 minutes takes you to the Maratakka Resort where you can enjoy all activities the resort has to offer. 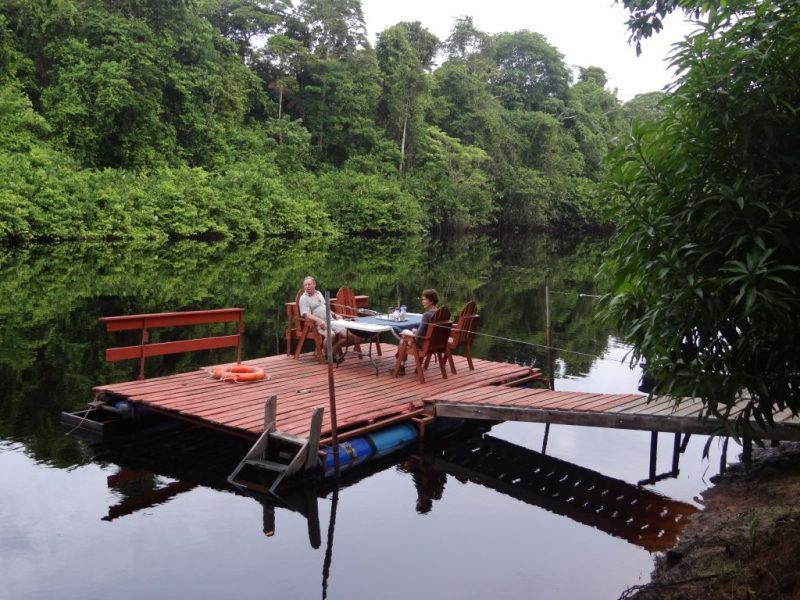 This day you will enjoy your first overnight stay in the midst of the jungle of Suriname. In the morning, you awaken in the jungle between all flora and fauna. An interesting forest hike is planned on this day, followed by lunch, after which a boat trip takes you back to Wageningen to continue onwards to Nieuw-Nickerie. From here, we take you to Bigi Pan for an enjoyable experience in the midst of the beautiful nature reserve. Some 122 bird types have already been identified in this area of which 72 are spotted year round, including the red ibis, fish hawk, sterns and waders. Bigi Pan is a uniquely interesting area for all nature lovers. This amazing nature reserve is also ideal for bird watchers. 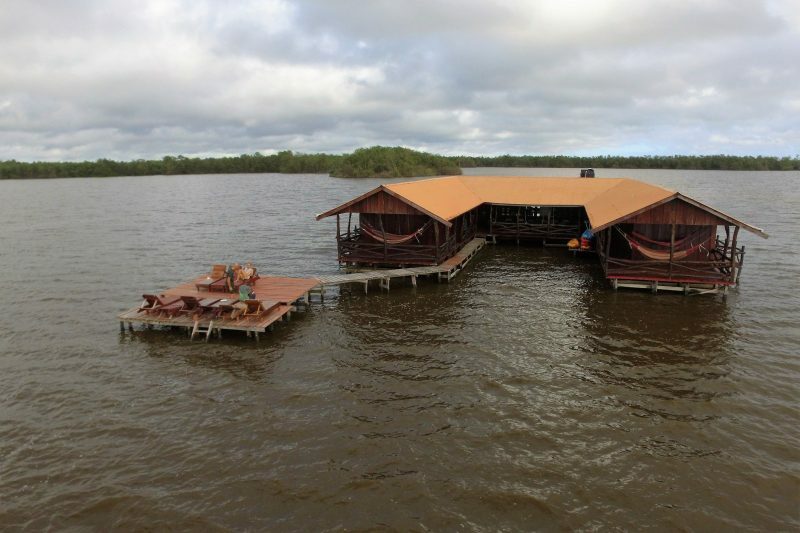 Your overnight stay is at the Bigi Pan Albatros lodge, in the middle of the Bigi Pan lake. The next day you have the opportunity to once again enjoy the nature at Bigi Pan and fully relax amidst the beautiful surroundings. You can go bird watching or just relax in the lodge. Afterwards, you depart back towards Paramaribo, duration of the trip approx. 3 hours. 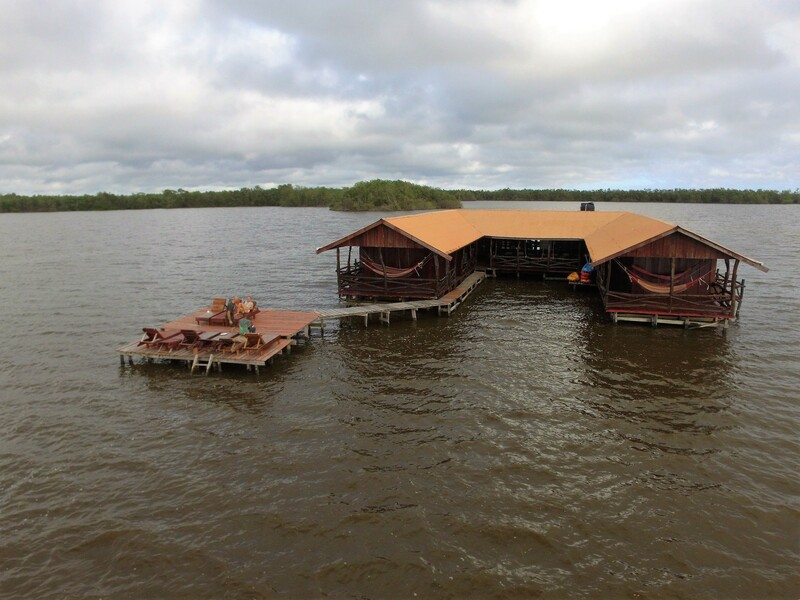 The accommodations at both Maratakka Resort and Bigi Pan consist of a shared sleeping facility with hammocks, all provided with mosquito nets. At Maratakka Resort, we also offer stretchers for those who are not comfortable sleeping in a hammock. Both resorts have shared use of sanitary facilities. Note: We also offer a 2-day Maratakka Tour, without overnight stay at Bigi-Pan. Always ask for our other options at your reservation!